Lakes Region General Hospital in Laconia, New Hampshire is closing its labor and delivery unit starting May 30. Lakes Region General Hospital in Laconia, New Hampshire will no longer deliver babies starting May 30. Expectant moms who receive care at LRGH will need to go to Concord Hospital to deliver their babies. "It's an emotional decision and a decision that was not easy for our board," said LRG Healthcare CEO and President Kevin Donovan. The hospital said the close of the unit is largely due to declining births and finances. "We've had less births but we still need a number of obstetricians," Donovan said. "Additionally, what’ve we’ve looked at is that the financial implications have been hard for us." Donovan said the hospital had 346 deliveries in 2015, 318 in 2016 and 283 in 2017. The decline in the number of deliveries is expected to continue in 2018. Donovan credits the decline to an aging population. She also said that every time the hospital delivers a birth with Medicaid insurance, the hospital loses money on the birth. LRG Healthcare said they will still provide pre-natal care to their patients. "[The mom] will just have to leave the community for the actual birth, but we’ll make sure that she can stay locally for all the other services," Donovan said. LRG Healthcare's Chief Nursing Officer Kendra Peaslee is pregnant herself. If Peaslee's baby comes late, however, she will be forced to deliver in the emergency room or go to Concord Hospital. That will be the case for all expectant moms in the area. "We'd deliver baby and make sure that mom’s healthy, baby’s healthy, everyone’s stable, and then we’d coordinate a transfer with our EMS communities to Concord hospital," Peaslee said, adding that traveling far distances is part of living in a rural community. "You know that you’re going to be traveling for services," she said. "Where I live I know it’s going to take me time. It takes me 40 minute to get to my OB appointments and that’s because of the community I live in." 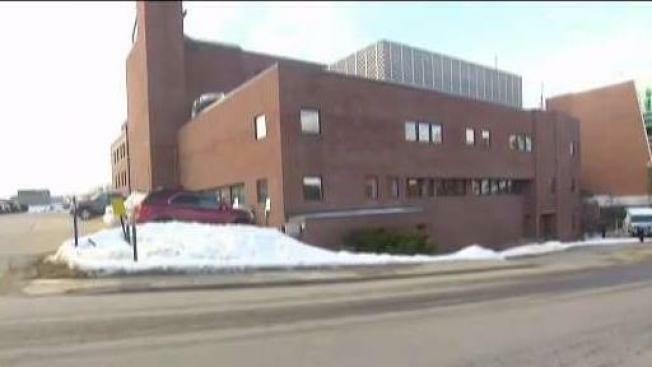 Alice Peck Day Hospital in Lebanon, New Hampshire also announced on Tuesday that they will close their labor and delivery unit in July 2018. They will send expectant mothers to Dartmouth-Hitchcock Medical Center.